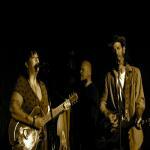 Sign up for Broadjam today to follow Feral, and be notified when they upload new stuff or update their news! 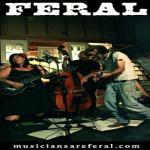 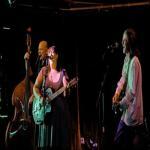 Feral is an Oakland-based band formed in the tradition of The Knitters, Patsy Cline, Mischief Brew, Ramshackle Glory, and Billy Bragg. Full of piss, vinegar, and bonafide heart-on-your-sleeve heartbreak, with a penchant for duets and upright basslines that bust holes through the wall, this trio is writing doomed waltzes and toxic two steps to remind you of why you fell in love... And why you started drinking... All at the same time.